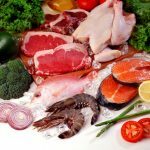 Even if you don’t have a wealth of knowledge when it comes to nutrition, chances are you know enough to know that chicken and veggies is a far superior choice for your fat loss goals than ice cream. But even if you’re not loading up your grocery cart with bags of chips and Oreos, you could unknowingly be consuming foods that are setting back your fitness goals. Food manufacturers are brilliant at making certain foods appear healthier or more nutritionally sound than they actually are by utilizing clever marketing taglines like “fat free”, “sugar free”, “all natural”, and “organic”. And due to the relaxed nature of food labeling laws, food manufacturers are allowed to legally report incorrect calorie content by as much as 20 percent. This means that your 250 calorie food bar could contain almost 300 calories. 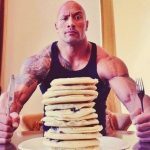 The bottom line is that you can “think” that you’re making a sound nutritional choice with some of your dietary selections, but in actuality, you could be sabotaging your body composition goals. 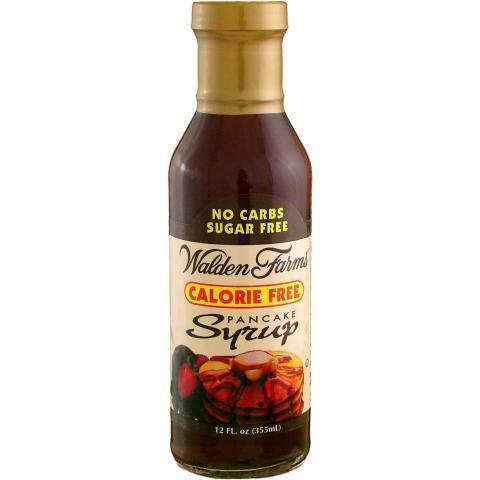 Ah yes- the oh so popular Walden Farms products. A dieter’s dream- or are they? Science shows that these products can be a huge detriment to your physique progress even if they don’t appear to be on the surface. For starters items like this send your brain and your body mixed signals and several studies have demonstrated a link between high consumption of sugar alcohols/artificial sweeteners and excessive caloric consumption. This is largely because artificial sweeteners disrupt the link between sweetness and high calories- so if you consume something sweet and don’t consume any significant caloric amount your body sends out a signal to continue eating. In basic terms- they stimulate the appetite. Zero cal/no cal products are also void of any nutritive value so consuming them leaves your body still in need of vital nutrients, and cravings are largely caused by nutrient deficiencies. This is why studies have also demonstrated a correlation between high consumption of low or no calorie “foods” and reported incidents of intense cravings. 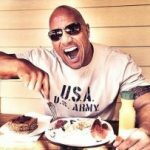 Who wants to combat intense cravings when trying to lose fat? Not me. 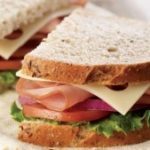 To boot- these foods (low or no carb, zero calorie, zero sugar) are also very damaging to your digestive lining and can cause serious gastrointestinal issues as the additives, sugar alcohols, stabilizers and unnatural flavors disrupt the growth of healthy gut bacteria that aids in digestion and nutrient absorption. Keep in mind that 70% of your immune system is in your gut. If it’s damaged, or compromised your body composition goals are going to suffer as a result. It’s really great that more and more people are paying attention to the negative impacts of sugar consumption and are attempting to turn to natural forms of sweeteners, such as honey, maple syrup, coconut sugar, and agave. 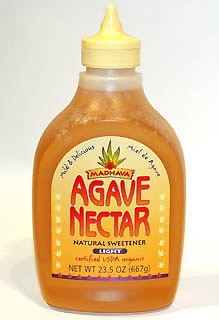 Agave in particular has an appeal to a specific health conscious crowd because it’s a great vegan alternative to honey. But it’s honestly not as healthy as you may think. Agave comes from the same plant that tequila comes from, particularly from the sap inside the plant called aguamiel. This sap, unfortunately is exposed to enzymes, chemicals, and heat in order to take it from an unappealing sap to the bottled syrup that you purchase from the store. And while organic producers limit the usage of harsh chemicals and process the sap using lower heat, the bottom line is agave syrup is still a highly processed product that undergoes a lot of questionable treatment in order to make it fit for consumption. Another point to keep in mind is that the processing it goes through strips agave of beneficial nutrients and antioxidants. Lastly, agave is very very high in fructose, even higher than high fructose corn syrup. This is problematic for several reasons, one of which is that fructose malabsorption is much more common than you may think. It’s a condition in which the body simply cannot absorb or process high amounts of fructose. Fructose, or fruit sugar is not as healthy as you may think. Even though it might be deemed as healthy, fructose molecules are not a natural part of metabolism and humans do not produce it. In fact, very few cells in the body can make use of it except liver cells (which is why fruit post workout is less optimal than other forms of carbohydrate, fruit replenishes liver glycogen, NOT muscle glycogen). When we eat a lot of sugar, most of the fructose gets metabolized by the liver. There it gets turned into fat, which is then secreted into the blood. Sugar is sugar and the more of it present in your diet the less lean you’re likely to get. 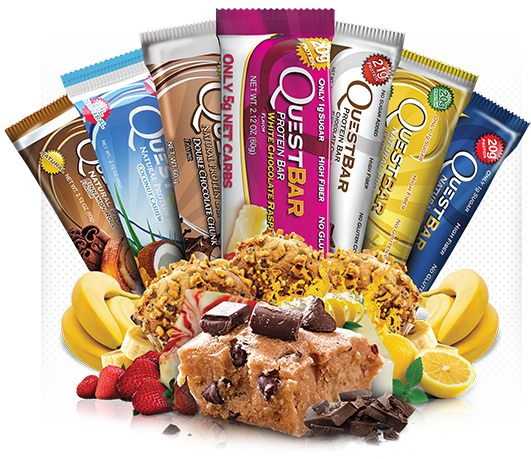 I know I am going to get slammed hard for including these on the list, but the fact of the matter is that I have seen numerous clients of mine well addicted to the consumption of Quest bars eliminate them from their diet with dramatic results. There are, I believe, several reasons for this. On the surface, a 200 calorie bar with only 1/2 a gram of saturated fat and 20g of protein looks like a bodybuilders dream bar. And Quest is marketed as a low sugar, low carb (only 2-6g net carb) bar that is great for people who need to lose weight or fat. But if you look at the ingredient list, and do your research, you’ll find out that the “healthfulness” of Quest is really a facade. With ingredients like : Protein blend (whey protein isolate, milk protein isolate), isomalto-oligosaccharides, almonds, water, natural flavors, sea salt, lo han guo, and sucralose there is quite a bit of problematic issues with the bars. Let’s start with the 18g of fiber the darn thing contains. For starters that’s more than a lot of people get a day. Quest claims that this type of fiber is healthy, that it is “prebiotic fiber”, the same type of fiber found in natural foods. And while this is true the problem is that this fiber is often added to protein powders, bars and gluten-free packaged foods in such high amounts that the body simply cannot process it efficiently. The result is gas or flatulence, diarrhea, stomach cramps, or nausea. Fiber tolerance is highly individualized. The isomalto-oligosaccharides are what make the Quest bars the little syrupy gooey bricks that they are- it’s what gets the bar to “stick” together. And although this fiber, like I said, is found in natural food it is much cheaper for food companies to manufacture it in factories by applying enzymes to varying starch sources, so the “natural prebiotic fiber” it claims to contain is actually a processed manufactured fiber. It’s fake fiber. Secondly, the term natural flavors could mean anything. 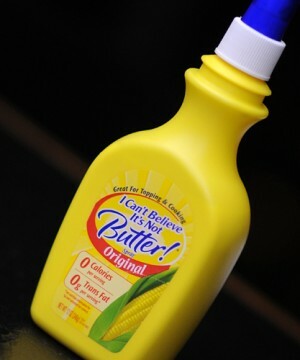 Added flavors are made in labs and serve to mask the lack of flavor of the other ingredients in the product. Never really a good thing. And lastly Lo Han Guo, or monk fruit is a fruit, high in fructose (fruit sugar) and is processed to manufacture a powdered sweetener that is about 200 times sweeter than sugar. And sucralose is splenda, which the debate still rages about. It may or may not cause cancer, may or may not cause bowel disease and may or may not have caused DNA alterations in mice. But regardless, it’s something to be wary of. 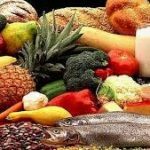 The bottom line is real food should be the bulk of your diet. Not Quest bars. 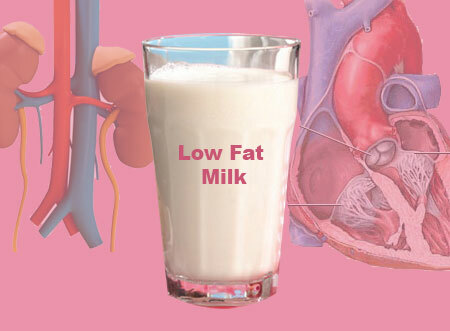 While skim and low-fat milks have fewer calories, which make them appear healthier, and less fat, which has appeal for someone who is maybe attempting a low fat diet- the healthy fats in whole milk help to keep you feeling full, support metabolism, and improve your body composition. The processing that skim milk goes through is enough to make your skin crawl as well. Skim milk producers add powdered milk into skim milk to improve its consistency because skim milk doesn’t resemble real milk when it’s harvested- it’s way too watery. The process of adding powdered milk into the milk introduces oxidized cholesterol, which damages your arteries worse than regular cholesterol. And the main reason most people avoid whole milk to begin with is due to the high saturated fat content. Oxidized cholesterol contributes to the buildup of plaque in the arteries, to atherosclerosis. So when you drink reduced-fat or nonfat milk thinking that it will help you avoid heart disease, you are actually consuming oxidized cholesterol, which initiates the process of heart disease. If you’re trying to watch your fat intake try unsweetened Almond Milk or unsweetened Cashew milk instead. And keep in mind the same holds true for low fat or fat free yogurts as well- these items go through similar processing and are usually much higher in sugar and carbohydrates as compensation for lack of taste due to the removed fat. Soy has been thought of as healthful for years- tofu, veggie burgers and soy products have been included in “healthy” diets for years. But research has indicated more and more that the consumption of soy causes far more health problems than you’d think. For starters, soy virtually can destroy your thyroid in large amounts. Many foods are goitrogenic (thyroid suppressing), but soy more so than any of them. Goitrogens work by preventing your thyroid from getting the necessary amount of iodine, and if your thyroids is struggling or failing guess what- you gain weight, regardless of your fat loss or gym efforts. You will also have a harder time regulating your mood, you’ll be cold a lot of the time, you’ll combat fatigue and could struggle with memory loss. You simply don’t want to mess with your thyroid. Soy also contains “phytates”. Phytates are enzyme-inhibitors that block mineral absorption in the human digestive tract. They are naturally present as a defense mechanism in all grains, seeds, nuts, and legumes but soy is so high in phytates that it’s almost impossible to get rid of them. Soy has to be fermented in order to be digestible to humans and most of what’s on the shelf (save miso, tempeh or tamari) is NOT. So consuming soy actually blocks your body from absorbing essential minerals and nutrients. Soy also contains what are called trypsin inhibitors. Trypsin is a digestive enzyme we need to properly and healthfully digest and metabolize protein. If you have body composition goals your body’s ability to synthesize protein is PARAMOUNT. And unfortunately without enough trypsin, you’ll experience digestive problems like stomach cramps, diarrhea, and bleeding in ADDITION to an inability to absorb protein from other foods you’re consuming. Lastly, soy contains phytoestrogens which are plant-based estrogens that mimic estrogen in our bodies. Leading causes of breast cancer, endometriosis, uterine fibroids, infertility, and low libido has all been linked to an abundance of estrogen in the body, or estrogen dominance. Allison is an IFPA Figure pro, motivational personality, competitive trail runner, crossfit athlete, professional fitness model and published author, she has currently worked with hundreds of clients both in and out of the U.S through Alli-Fitness Systems LLC. Be sure to follow her on Facebook as well at facebook.com/AlliFitnessSystemsllc for more great information and motivation.